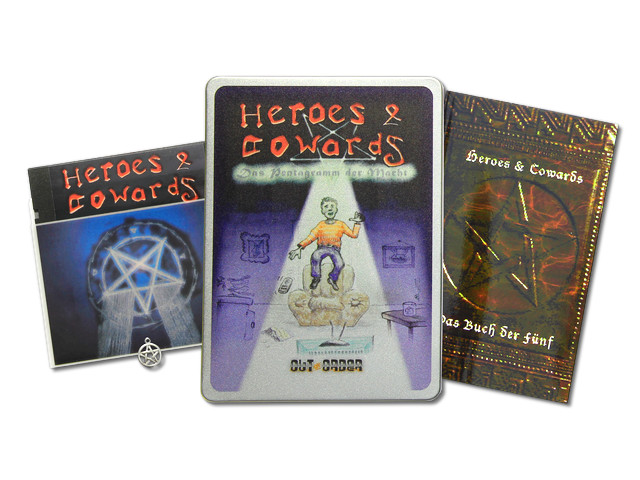 Heroes & Cowards, Heroes & Cowards – The Pentagram of Power if you will, is an impressive, brand new fantasy adventure for the Commodore 64 by Brubaker, Sebastian Broghammer and Steve Kups. It sports an intriguing plot, lovely graphics, and --hopefully-- excellent gameplay, and involves everything from unwilling heroes and nasty magicians to broken pentagrams and medieval worlds. The game is available complete with its manual as downloadable purchase over at itch.io. A vastly more collectible, boxed, physical version of it on 5.25" disk is available here.